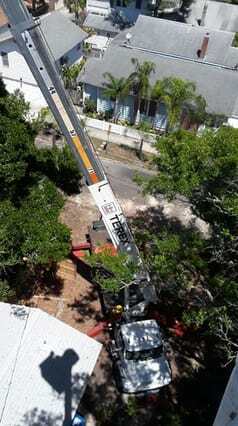 Trimworks Tree Service in Largo, FL has been providing high quality tree care since 2005. 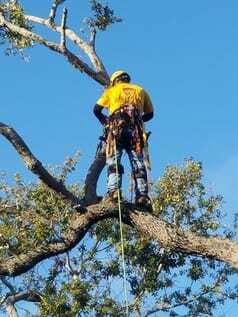 We offer a vast array of tree services including: tree removals, tree pruning, tree planting and recommendations, stump grinding, tree and plant relocation, root pruning, lightning protection, Consult an Arborist First Program, mulching services, Mangrove trimming, lot clearing & yard cleanouts and crane services. We are centrally located to service all of Central Florida including Pinellas County, Hillsborough County, Pasco County, Hernando County, and Manatee County. We specialize in large and hazardous tree removals, large scale tree/palm tree trimming (golf courses, mobile home parks, RV parks, apartment complexes) and tree health evaluations. We also have a 24-hour Storm Response Team ready for when Mother Nature calls. Our tree division is dedicated to educating customers on the importance of trees and how proper tree care is essential to tree health. With knowledgeable ISA Certified Arborists on staff we can assist you every step of the way. Our landscape division is educated in taking a more native and natural approach in our landscape designs. We believe planting the right tree in the right place is a vital factor when designing and planning a landscape. 24-Hour Storm Response Team: Our 24-Hour Storm Response team in Florida consists of highly experienced individuals who recognize the dangers that come with downed trees or large limb failures after a storm. 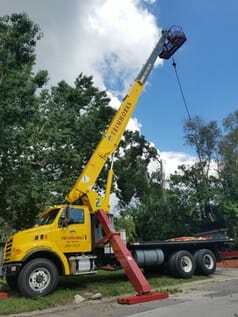 We have extensive training in proper craning techniques that not only protect our crew from injury, but also helps prevent further damage to the customer’s property. Storm Damage Clean outs: After a storm, many home owners and business are left with huge piles of debris and leaves, which can leave you feeling overwhelmed and not sure who to call. Most lawn companies are just not equipped to do the job but Trimworks has a dedicated clean-up team that comes behind the main crew to restore your yard to its pre-storm glory. Hazardous Removals: A Hazardous tree is defined as a tree with significant defects that could lead to failure of all or part of the tree. We have seen trees fail time after time, taking note that most failures could have been avoided with proper tree care or better placement of the tree when it was planted. If you have a tree with large co-dominant stems, visible decay on the bark or have already experienced falling branches from weak or rotting unions, call Trimworks and one of our Arborists can come out and evaluate your tree to assist you with making an informed decision. We are equipped with a crane and bucket lift that help minimize potential for injury to our climbers and crew. The safety of our crew is always our top priority when removing a Hazardous tree. 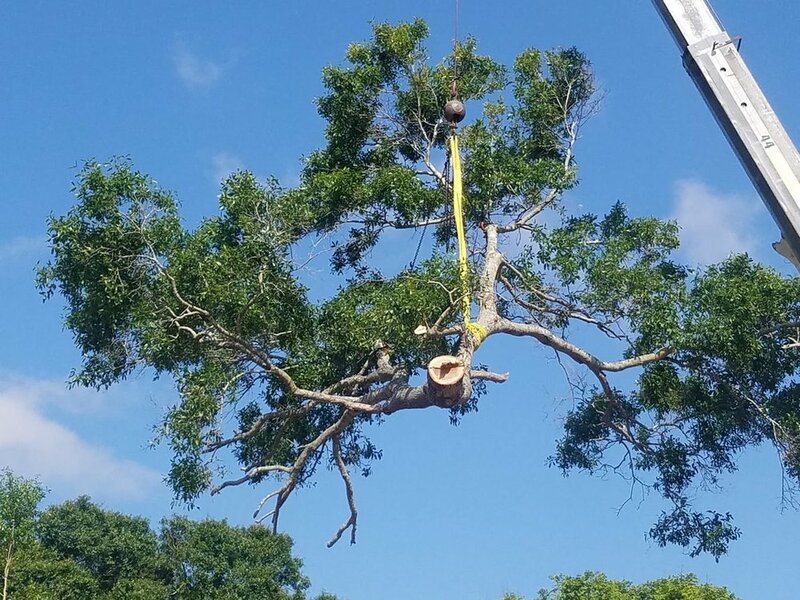 Large Scale Trimming and Clean outs: Trimworks Tree Service is equipped to manage any size project and has a full-time traveling Tree service in Largo FL that specifically works on large scale property trimmings, clean-outs and removals throughout the state of Florida. We have worked to restore many large RV Parks, Mobile Home Communities, Campgrounds, Apartments Communities, Sports Complexes, HOA Common Grounds, Office/Business Complexes. Tree Removal: Removal is always a last resort, but there are circumstances that sometimes make it necessary for a tree to come down. We recommend removal when the tree is considered an unacceptable risk, obstructing something that is impossible to fix with pruning, crowding or causing harm to other more desirable trees, located in an area where new construction requires removal and of course, dead/ or visibly decaying wood. Pruning Services: Proper Pruning techniques help maintain the tree’s health, appearance, and reduces the likelihood of future damage during storm events. An Arborist can help you determine the type of pruning necessary and we are equipped to perform any size project. 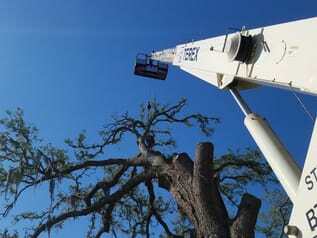 Certified Arborist Services: Trimworks Tree Service in Largo staff includes knowledgeable ISA Certified Arborists who can assist you with any tree or landscaping issues. Our tree division is dedicated to educating customers on the importance of trees and how proper tree care is essential to tree health. Our landscape division is educated in taking a more native and natural approach in our landscape designs. We believe planting the right tree in the right place is a vital factor when designing and planning a landscape. Professional Mangrove Trimmer: Mangroves in Pinellas County are a protected tree that grow along the shoreline and play an important role in the Florida ecosystem. They protect our shore line from erosion, protect homes from wind and storm surge, help maintain water quality, and create habitats and nurseries for our wild life. Only a professional Mangrove Trimmer that is registered with the county and/or city can obtain a permit to trim or remove Mangroves. 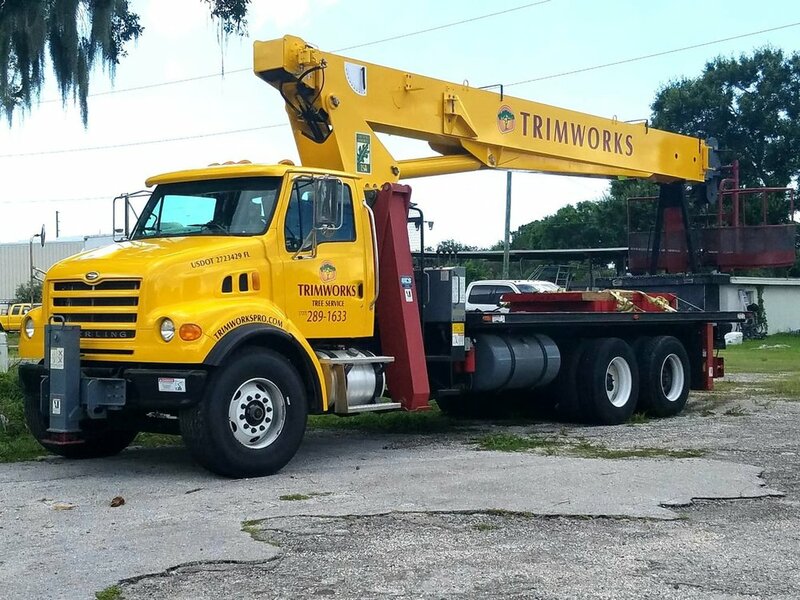 Permitting Services: Trimworks Tree Service in Largo will work with your local city or county to ensure proper permitting is obtained and follow proper procedure for pruning. We are familiar with most city codes regarding Grand Oak removals and proper trimming and pruning techniques. 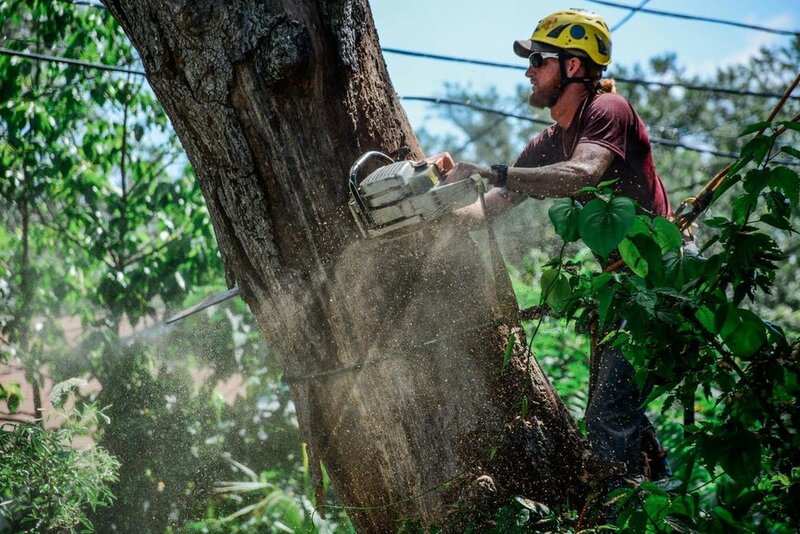 We are currently working with the following cities: Tree Removal Belleair Beach, Tree Trimming Belleair Bluffs, Mangrove Trimming Indian Shores, Town of Redington Beach, Tree Pruning in the City of Seminole, Mangrove Trimming Madeira Beach, City of Treasure Island, Tree Removal Clearwater, Tree Trimming Largo, Tree Removal in Pinellas Park, City of St. Petersburg, City of Tampa, City of Dunedin, City of New Port Richey and City of Lutz. Tree/Palm Planting and Relocation Services: Trimworks Tree Service in Pinellas County can help you choose the right tree for the right spot. Whether you are looking to have large palms or trees installed or are wanting to relocate a beloved tree, we are fully equipped to handle any project. Our staff is knowledgeable on the best planting practices and can educate you on the care required after planting or relocating a tree. Cabling, Bracing and Lightning Protection: Cabling provides trees with additional structural support. We utilize quality materials, sound engineering principles and proper installation methods. Lightning strikes are unpredictable and hazardous. Every year numerous trees are lost as a result of a lightning strike. A properly installed lightning protection system creates an umbrella of protection to reduce the chance of damage due to a lightning strike. Copper conductors connected to a ground rod direct the charge harmlessly to the ground. Boulder and rock relocation, stump grinding, free mulch delivery, and free delivery of seasoned firewood when you purchase a cord or more. Vern Gingras is an ISA Certified Arborist (FL-9182A) and certified Professional Mangrove Trimmer. He has dedicated the last decade to growing Trimworks into the reputable company it is today. He is very knowledgeable about the industry and strives to educate himself, his employees and his customers every day. On any given day you may see him in a Trimworks shirt giving estimates or getting down and dirty with the guys. He is a hands on boss and works with the crews to maintain the same reliable and affordable services our customers have grown to know and love. He has an old school approach when it comes to his company “Be true to your word, take pride in your work, and encourage others to be the best they can be.” He treats his staff with respect and in return expects that they will treat every customer as if they are family. Vern truly cares about his crew and knows that Trimworks would not be where it is today without the support and dedication of our employees and clients. ©2019 Trimworks Property Services, LLC. All Rights Reserved.